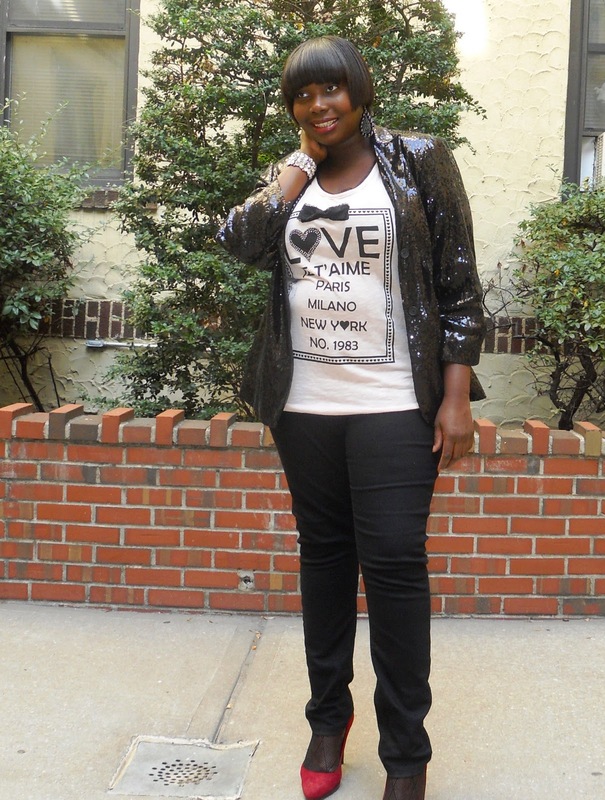 One of the trends I have been coveting this season is sequins. 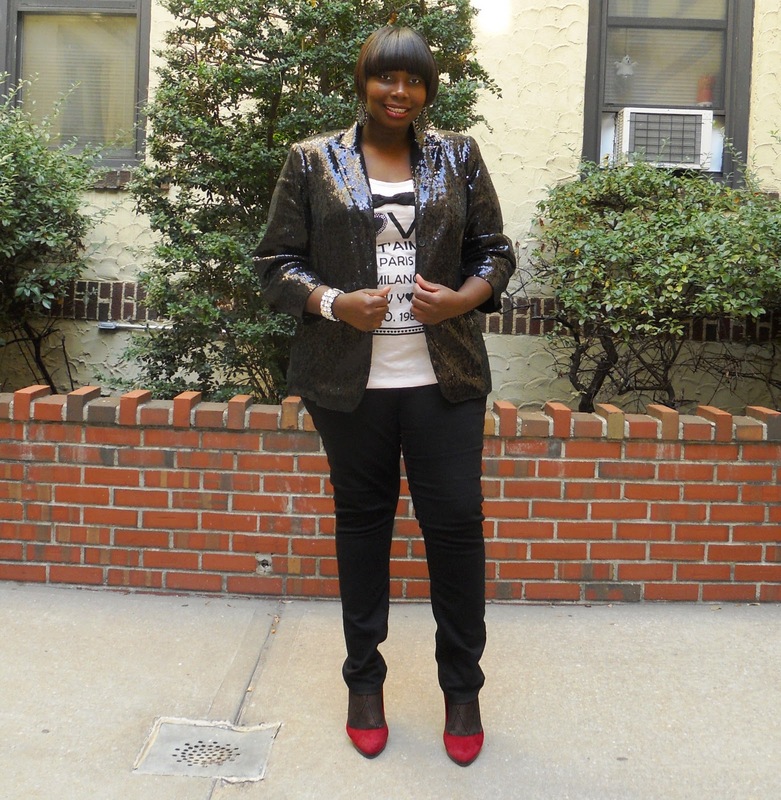 Last week, I was finally able to purchase one of my wishlist items which was a Calvin Klein Plus sequin jacket. I had been eyeing the jacket for awhile online and I was over at Bloomingdales jut browsing when I saw it. I snatched it up immediately since there was only a couple left. Since majority of my wardrobe is made up of classic pieces, I don’t mind purchasing trendier pieces to spice up some of my looks. This jacket goes with just about everything and it is an attention grabbing show stopping piece that I will wear forever. I like that it fit like a boyfriend blazer because it adds a little sophistication to all my party/club dresses. Another way I’ll be rocking my sequin blazer is with jeans and a t-shirt. I love how the blazer looked with jeans and a cute top because it’s great to wear to a lounge or a little dressy casual get together. Don’t under estimate pieces like a sequin blazer. It may not be an every day piece but it is a special piece that will make you shine like a star. This weekend I found this super cute t-shirt at Faith 21 and thought it would look awesome under the blazer with my black skinny jeans. I wear these skinny jeans so much that they’re beginning to lose its shape which is why they’re creasing.